The Mariupol sector remains the hottest spot. Since the start of 3 November, pro-Russian separatists have launched 24 attacks on the positions of Ukrainian servicemen. There were 15 attacks in the Mariupol sector. 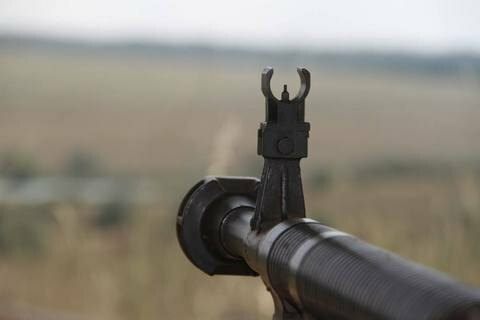 The militants used small arms near Talakivka and Shyrokyne, infantry fighting vehicle, machine guns and grenade launchers near Lebedynske, 82-mm mortars near Pavlopil, Bohdanivka and Vodyane, the antiterrorist operation (ATO) HQ has said. Five armed provocations were registered in the Luhansk sector. The militants used grenade launchers near Novooleksandrivka and Tryokhizbenka and small arms near Syze. In the Donetsk sector, the occupiers violated a cease-fire four times. In Avdiyivka, the enemy fired on the ATO troops with heavy machine guns, grenade launchers of various systems, 82-mm and 120-mm mortars. The militants opened fire with infantry fighting vehicles in Luhansk. Over the past 24 hours, one Ukrainian serviceman was wounded in action in Donbas.